The Gamescom PlayerUnknown’s Battlegrounds Invitational hopes to prove that the popular battle royale game has what it takes to become an esport, poor camerawork aside. But as the tournament continues, quirky tactics and unorthodox wins have raised questions about the rules. Each match of the tournament is broken up into three rounds, with winners decided according to how well they place as well as the points they’re awarded for kills. For instance, in Solo, first place will get you 500 points while kills will get you five each. The focus on survival over kills has led to strange gameplay. The trend began on day one’s Solo matches. 100 players faced off to digitally shoot, grenade, and run over each other, but one of the most important tactics was doing nothing at all. Korean player Kyo-min “Evermore” Koo shot his way to a victory in the second Solo round for a large point gain. With a comfortable nest egg of points built up, he then spent the majority of the third round hiding on a mountain ridge in the game’s blue zone, healing damage to survive as long as possible. He placed ninth in the round, given his sizable lead, but he had survived long enough to take the first place prize of $15,000 while hardly firing a shot in the final round. 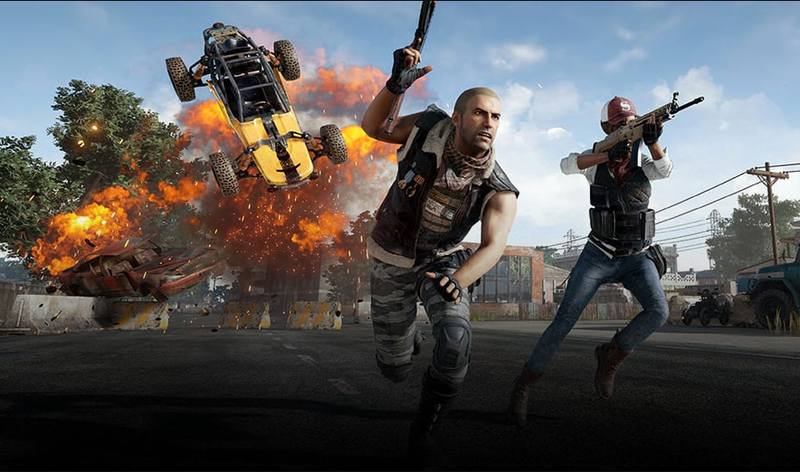 Battlegrounds’ structure differentiates it from competitive games like Overwatch or Counter-Strike. It’s possible to win rounds with highly aggressive tactics or with a slowburn mixture of camping and sneaking. The emphasis on raw survival over kills throughout the Invitational has created bizarre spectacles including a scene where numerous teams hid next to each other while hiding underwater. 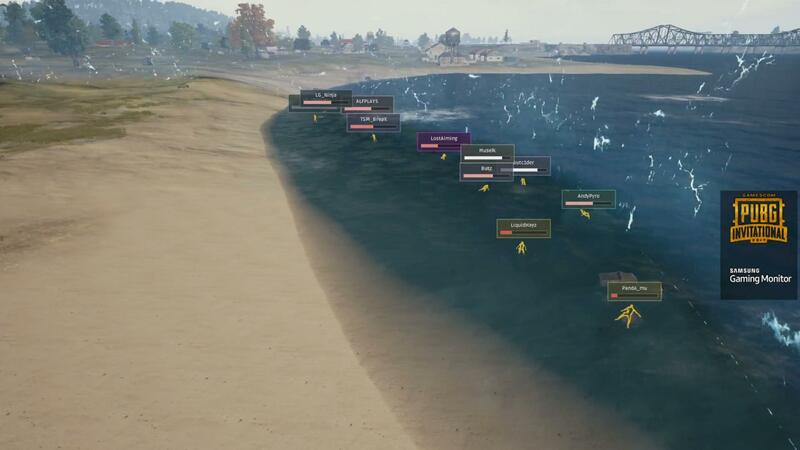 Currently, players cannot be shot while swimming underwater, making it an ideal place to hide and gain placement points as other players die. The question of how much raw survival is worth came to a head during day two’s Duos match. First place was confidently claimed by THZ and yukiiie, a pair of players who worked their way from the qualifying rounds all the way to Duos’ $30,000 prize. Team Bosphorus originally placed in second on the in-game ranking boards, but they were awarded third place in the tournament. Second place went to a pair of professional players from Cloud 9, Drew ‘Sweaterr” Miser and Stian Borg. While Bosphorus and Cloud 9 tied in points over the course of the tournament, Bosphorus survived an average of 27 seconds longer than Cloud 9 over the three matches. The judge’s’ decision to award Cloud 9 second place over Bosphorus confused viewers and shoutcasters alike. The Electronic Sports League, who organized the tournament, clarified their tie-breaking rules on Twitter. Players are initially assessed on their total number of points. If these are tied, the judges look to the sum of the ranking points only. Bosphorus and Cloud 9’s ranking points and kill points were tied, leading to a final judgement based upon the ESL’s third criterion, which team finished the tournament’s final round in the highest place. Cloud 9 ranked fourth while placed tenth, thus securing second place according to the rules. Fans and viewers commenting on social media have offered vocal opposition to these rules, with many favoring average survival time as the more important factor. The inconsistency between in-game rankings and the tournament rules drew criticism from viewers who felt Bosphorous was denied their proper placement. If Bosphorous had placed second, they would have taken home a $20,000 prize. They left with $8,000. Battlegrounds first major tournament shows promise. The high stakes and lengthy matches created explosive moments, while the qualifiers allowed new faces to win big. But the confusion and controversial plays have made it clear that the rules are still evolving. If Battlegrounds wants to cement itself as an esport, the ESL might have to go back to the rulebook.